During a meeting of the defense project committee, on 11 June 2014 the government approved a plan to develop long-range surface-to-air missiles (L-SAM) with its own technology. The development of the L-SAM system, which intercepts missiles at an altitude of 40 kilometers or above, aims to shoot down ballistic missiles from the communist North in their terminal phase. After completing its development by around 2018, the the Defense Acquisition Program Administration (DAPA) expected that the production of the L-SAM system will begin in 2023, the DAPA said, adding that more than 1 trillion won is forecast to be used for the research and development of the new interceptor system. The L-SAM development is expected to greatly increase the capacity of the Korean Air and Missile Defense (KAMD) by allowing a multi-layer system. South Korea said it would develop its own missile defense system to intercept missiles at a higher altitude instead of adopting the Terminal High Altitude Area Defense (THAAD). The military decided to develop its indigenous Long-Range Surface-to-Air Missile (L-SAM), which is compatible with the US-based Lockheed Martin's THAAD system, based on a pilot study by the Defense Acquisition Program Administration (DAPA), the country's arms procurement agency. The military planned to develop its indigenous interceptor missile by 2022. It is expected to take some seven years to develop the L-SAM system, and it will be deployed between 2023 and 2024. The Korea Air and Missile Defense (KAMD) is a separate system from the US missile defense - the two systems are different geographically and structurally. Initially South Korea was not considering the adoption of the Lockheed Martin's Terminal High Altitude Area Defense (THAAD) designed to intercept ballistic missiles. Standard Missile (SM)-3 has also been excluded from candidates for Seoul's multi-layered missile defense as the SM-3 intercepts missiles at an altitude of 400-500 km. Seoul said it had never reviewed the adoption of the ship-based missile defense, adding the SM-3 goes beyond its target of intercepting missiles at a low altitude. South Korea's Defense Ministry said 26 May 2014 that it was not considering the adoption of the maritime-based missile defense system to intercept missiles launched from the Democratic People's Republic of Korea (DPRK). Defense Ministry spokesman Kim Min-seok told a routine press briefing that the military had never examined the concrete weapons system for the maritime-based missile defense though it had been mulling the enhancement of ship-based intercepting capabilities. Some local media reported that the United States had called on South Korea to adopt the ship-based missile defense system to intercept missiles fired by the DPRK in an ascending stage. Kim said the South Korean military is targeting the missile defense shield that can intercept DPRK ballistic missiles in the descending stage, noting that the Standard Missile 3, or SM-3, weapons system of the United States goes beyond its target. South Korea seems to be opening up to the idea of a THAAD system deployment on home soil following North Korea's nuclear in January 2016. The defense ministry in Seoul said 01 February 2016 that its indigenous missile and the U.S. anti-ballistic missile system combined... could form a powerhouse defense. South Korea said overlapping its home-grown, long-range surface-to-air missile with the U.S.'s Terminal High Altitude Area Defense system could create a multi-layer defense that would enhance national security. L-SAM and THAAD are virtually separate systems since the nature and range they cover are different. 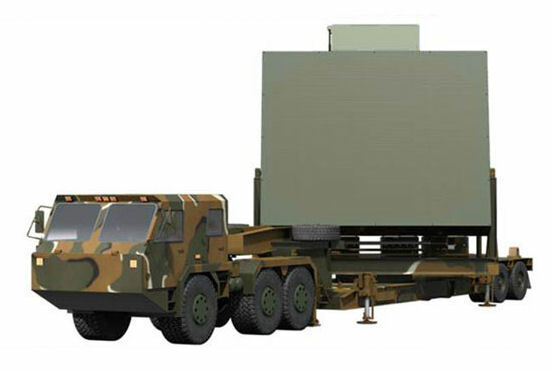 A proposed South Korean air and missile defense system comparable with the Lockheed Martin Thaad will employ a large trailer-mounted radar with an active, electronically scanning array. The L-SAM Multi-Function Radar (Multi-Function Radar) can detect, identify and track aircraft, missiles and jammers in a single combined radar and communicate such data to the integrated missile launcher. The L-SAM is being developed as part of the Korean Air and Missile Defense project, slated to be ready in the early 2020s. It aimed to intercept missiles at an altitude of 50 to 60 kilometers with the ability to shoot down Pyongyang's ballistic missiles in their terminal phase. Currently, the U.S.-made THAAD system is capable of intercepting incoming ballistic missiles at 40 to 150 kilometers. South Korea's latest comments were a shift from its prior stance in 2014, when it said a THAAD unit on the Korean Peninsula would not be needed after its L-SAM system is developed. But after North Korea's fourth nuclear test early in 2016, speculations swirled again over the possibility of the THAAD system being deployed to South Korea. South Korean President Park Geun-hye said that any related move would be reviewed with national interest and security in mind. Seoul however, continues to staunchly deny any claims that it's held consultations, discussions or requests for deployment of a THAAD unit with the U.S. It's an issue that's not only drawing controversy in South Korea but also regionally, namely in China.